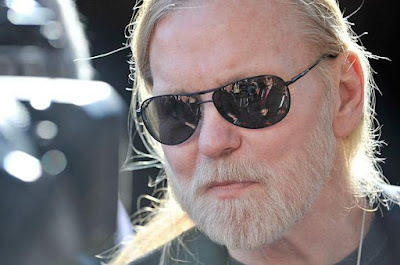 Gregg Allman has cancelled all remaining 2016 live dates just days after missing a pair of shows due to a bruised vocal cord. Allman backed out on November 6 and 7 appearances at New York’s City Winery as he attempted to recover from the injury, giving fans refunds while his band played both nights for free; now, he has cancelled the complete 10-show residency with the group playing free again on November 9 and 10 as a gesture to fans for their support. Other dates expected to be affected include December 30 and 31 shows at the Lucas Theatre For The Arts in Savannah, GA, as well as some early 2017 appearances in January. The City Winery shows in New York have been rescheduled for July 2017. Allman plans to take several months off to focus on his health so he can return to playing live later in 2017. The music icon has battled through a series of health issues in recent years: in 2007, he contracted Hepatitis C, underwent a life-saving liver transplant in 2010, cancelled live performances in 2011 due to an upper respiratory condition that resulted in lung surgery, and entered rehab in 2012.